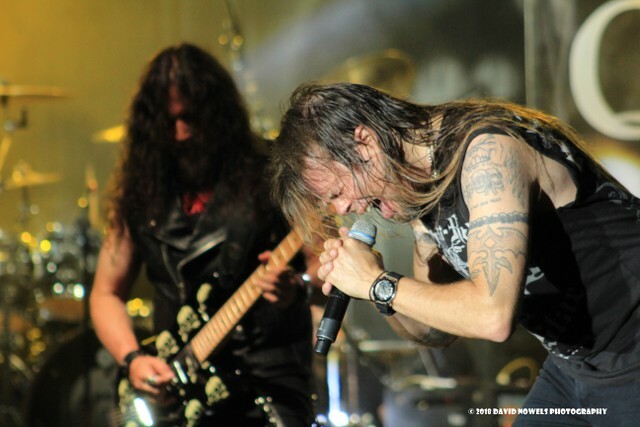 I've always loved QUEENSRYCHE. Like many, they were the first band to introduce me to what is now commonly referred to as Progressive Metal. At a time when the hair band phase was giving way to Grunge, QUEENSRYCHE were evolving their sound into something that would become pretty spectacular. I had been a fan of the band from the release of their self-titled EP in 1983. The release of "The Warning" in 1984 only solidified my appreciation for the Washington ensemble. I followed their career probably longer than any other band of that era. And of course, "Operation Mindcrime" and "Empire" are considered classics in my home. 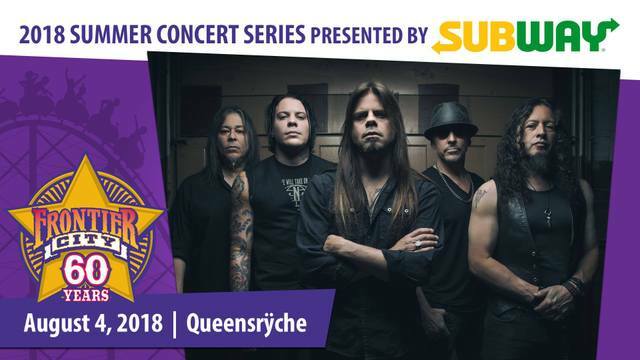 Over the years I've seen the band multiple times, yet this was my first experience seeing a QUEENSRYCHE not fronted by original vocalist Geoff Tate, and only my second time to see the band without guitarist and songwriter Chris DeGarmo. Nonetheless, I was excited for the opportunity to get to cover this show. Unfortunately, it didn't get off to a good start, and actually very nearly didn't happen. The band was performing at Oklahoma City's Starlight Amphitheater at Frontier City. Frontier City is an amusement park full of roller coasters, cotton candy and things of that nature. Pulling in to the parking lot, I came to the quick realization that one had to pay $15 just for the ability to park. So all ready a bit chuffed, I made my way in, collected my ticket and photo pass. With show time approaching, I made my way through the park to the amphitheater stage. There was a man on the stage instructing those with the extra special VIP tickets to make their way to the side stage for the meet and greet with the band. Allowing those folks to work their way back first, I then inquired with the gentleman there about speaking with my band contact, the tour manager. He began asking who I was, and who I was with. Realizing I was there to photograph and review the show, his attitude changed quickly for the worse. He was with the promotions company, and they had their own photographer. The pit access I had been promised was suddenly denied. Furthermore, he effectively blocked me from speaking with the tour manager and wouldn't pass on any messages. He suggested several times I should "just leave". I ultimately had to email the tour manager, who came out and assessed the situation, apologizing for the situation. Apparently the venue,staff, promotions company and the band had been having arguments all afternoon. After several heated discussions between the three of us, I was told I would only be allowed in the VIP section for the first three songs. Better than nothing I suppose. Not the pit as I had been promised, but it would have to do. 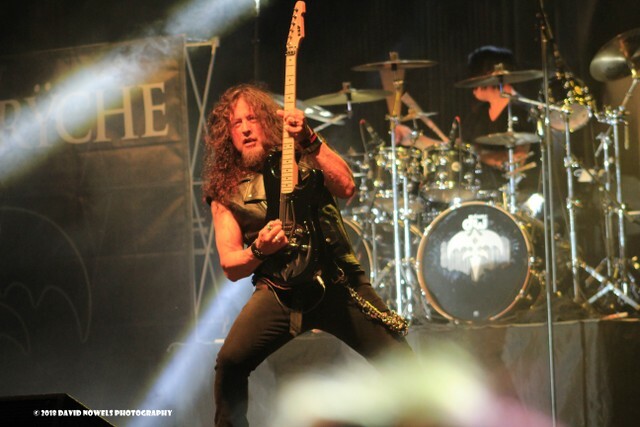 QUEENSRYCHE took the stage promptly at 7pm and immediately launched into "Best I Can" and followed it with, "Damaged". 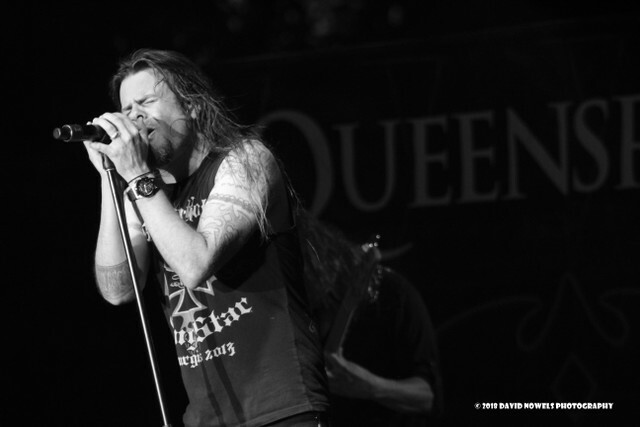 Immediately it became that regardless of your opinion regarding the Tate vs. QUEENSRYCHE debacle, vocalist Todd La Torre is outstanding at what he does. No, he's not Tate, but he proved himself to me to be more than capable of handling the bands repertoire. What a repertoire it is, and the band did a masterful job of playing it well. 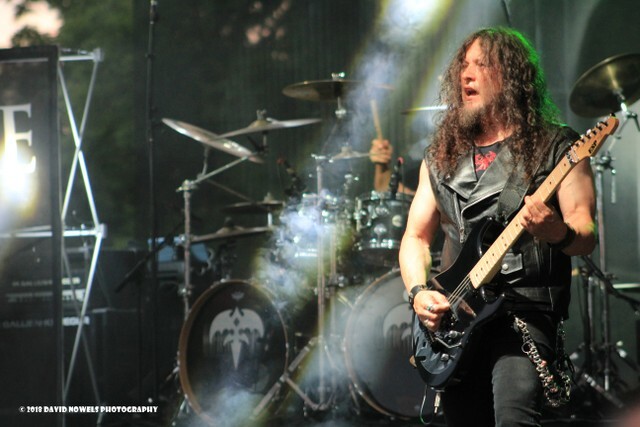 Featuring original members, Michael Wilton on lead guitar, and Eddie Jackson on bass, as well newer members Parker Lundgren on rhythm and lead guitar and the already mentioned La Torre on vocals. On drums, the band employs touring drummer Casey Grillo. I wasn't aware that original drummer Scott Rockenfield, isn't currently touring, as he's spending time with his newborn child. So while Grillo did an admirable job, I was really disappointed to be missing Rockenfield, as he's one of my all-time favorite metal drummers. The band touched on every era of their career with a great, setlist that seemed to please everyone. I was certainly happy with it. In particular, the band shined on some of their earlier work. 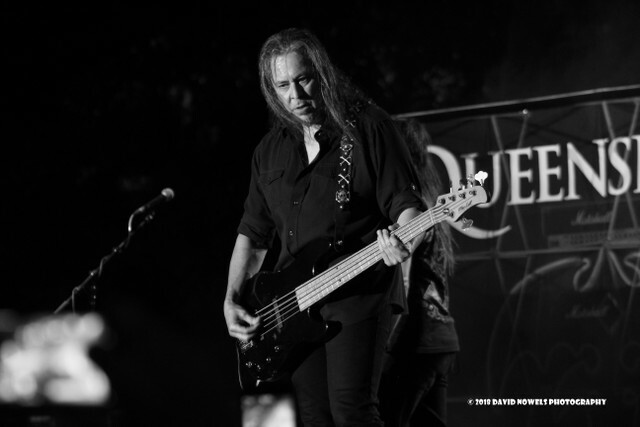 "The Lady Wore Black", "Queen of the Ryche" and "Take Hold Of the Flame" all sounded fresh and vibrant. La Torre infuses his own style, while still maintaining the classic feel of these songs. 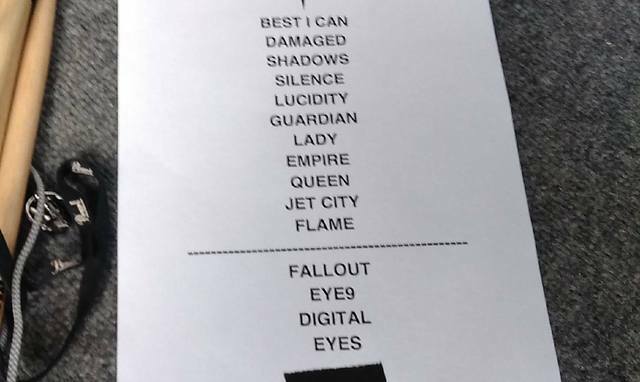 Newer songs such as "Guardian" and "EYE9" fit in perfectly with the older songs, and definitely maintain the signature sound the band has always had. "Jet City Woman", and "Empire" in particular were both standouts for me. La Torre maintains a great stage presence and interacts with the crowd exceptionally well. At one point, he even borrowed a fan's cell phone and walked it around the stage filming the band in action. 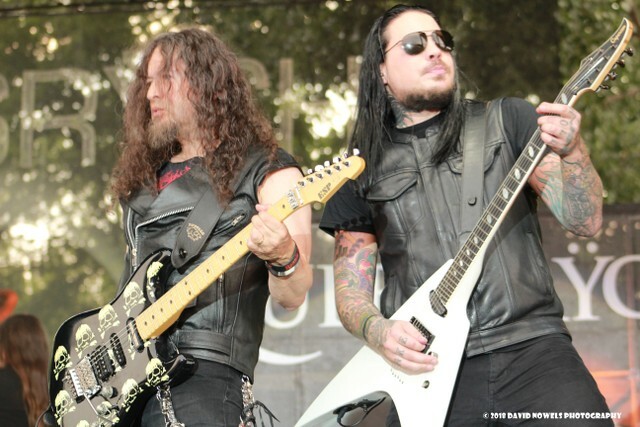 Wilton and Lundgren absolutely wailed on their guitars, all while Jackson seemingly holds down the band's foundation, especially with Rockenfield's absence. The band really seems to enjoy playing together, and the music this evening certainly reflected it. So while the evening started out somewhat problematic, the music overcame the negativity. Unfortunately, based on the issues I don't know if I'd want to check out another show at that venue. 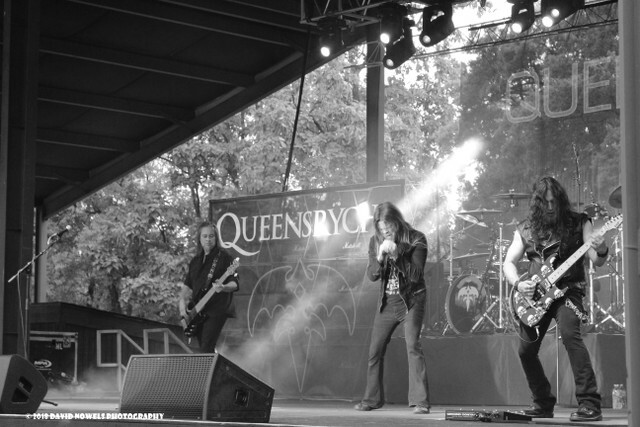 But I would definitely see this lineup of QUEENSRYCHE again. It was a fun night overall, and absolutely reinforced why I love this band.